Well, I have found a new venue. 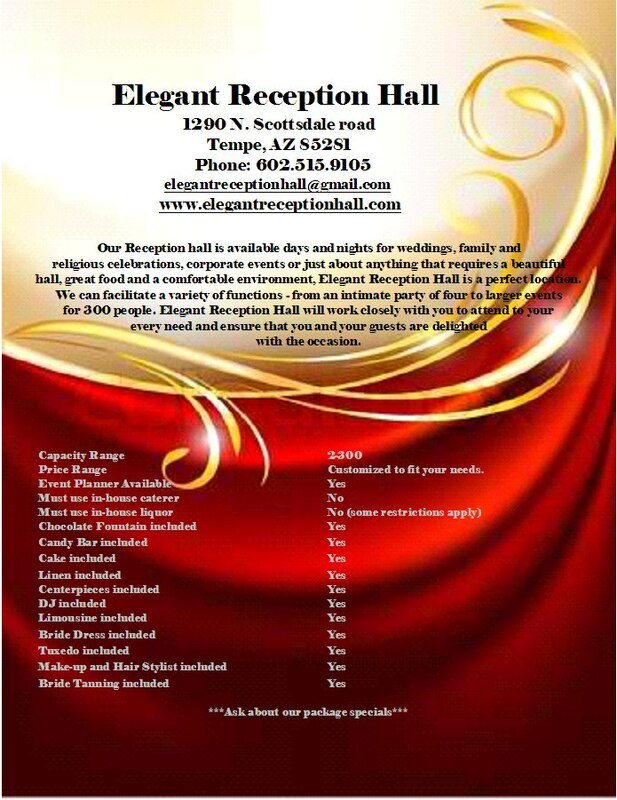 It is called Elegant Reception Hall and is located in North Tempe on Scottsdale Road and Weber. They held their grand opening September 2012. This venue can service all types of events and occasions, from Quinceanera’s, Anniversary celebrations, work gatherings, family gatherings to weddings. Sarahyn, owner/operator, is very nice and welcoming. She has connections with many vendors to help you in all areas of planning your event. She offers packages but is also open to customizing a package so you have a one of a kind events. 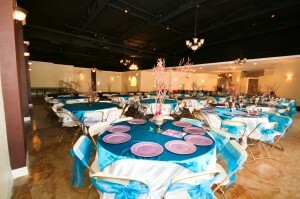 Check out Sarahyn and the Elegant Reception Hall. 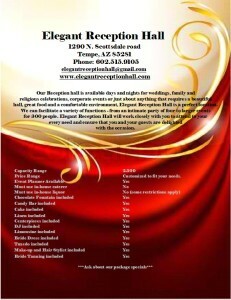 Let her know that Jeryse Kelly of MJK Events sent you.